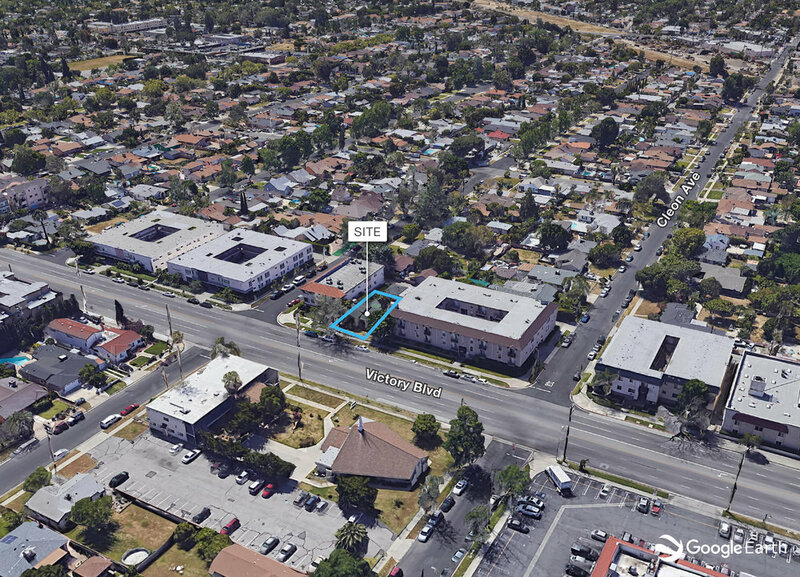 NAI Capital and Vanguard Investments, Inc. present a portfolio of four multifamily development opportunities in the North Hollywood, Toluca Lake, and Culver City areas. 10842 Victory Boulevard is in the mid-town North Hollywood Neighborhood. The location has a high Walk Score of 76 and is attractive to renters because of its central location and its access to public transportation and many amenities. An investor will benefit from the positive momentum and strong rental growth in this market. The shovel ready entitled RTI lot is located in a central North Hollywood location adjacent to NoHo Arts District and Burbank. It is minutes from the North Hollywood rail and metro station, and other amenities. The location boasts a Walk Score of 76 and is located within a few minutes drive of the 101, 170 and 118 freeways. The opportunity is development land entitled for up to 30 units inclusive of 28 apartments and 2 retail stores. The lot is fully RTI and ready for development. Listed price translates to $130,000 per unit on proposed unit mix of 28 (2 bedroom + 2 bath) units and two 750 sq. ft. ground floor retail stores. The opportunity provides an investor the ability to take advantage of positive market in a dynamic location. The fully entitled RTI project is ideally located adjacent to NoNo Arts District with close access to the Red Line and a range of other amenities. the location boasts a Walk Score of 75 and is close to Victory-Vineland Recreation Center, North Hollywood park and is minutes from the 170, 5 and 101 freeways. The offering is a double lot entitled to build up to 18 apartment units. Located in Toluca Lake, the project offers a developer a great location, low vacancy, and strong rent growth. The project is adjacent to Universal Studios and Burbank and has a high Walk Score of 79. The entitled lot is ideally located in prestigious Toluca Lake, adjacent to Universal Studios, Burbank and NoHo Arts District. It is within close proximity to the North Hollywood rail and metro station. The location boasts a Walk Score of 79 and is within a few minutes drive to the 101, 405 and 170 freeways. Seller will deliver this parcel RTI, which would allow for development of up to 63 units in an extremely hard to find area of Culver City. The lot is situated within close proximity to many amenities in downtown Culver City and is walking distance to Sony Studios.